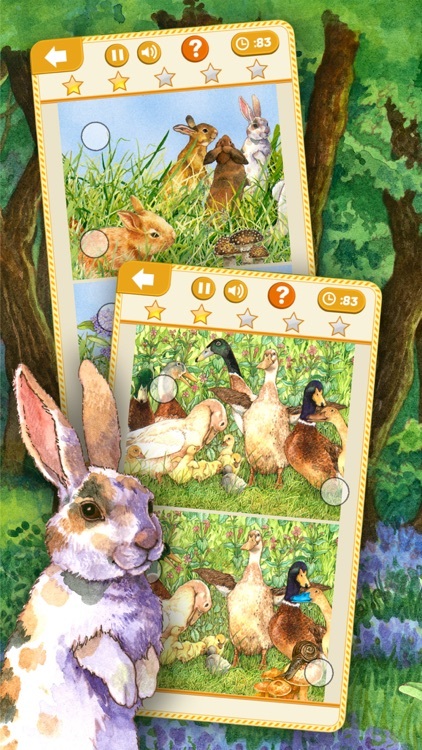 Are you ready to enter an adorable world of Easter Bunnies, ducks and more to solve some fun wildlife puzzles? 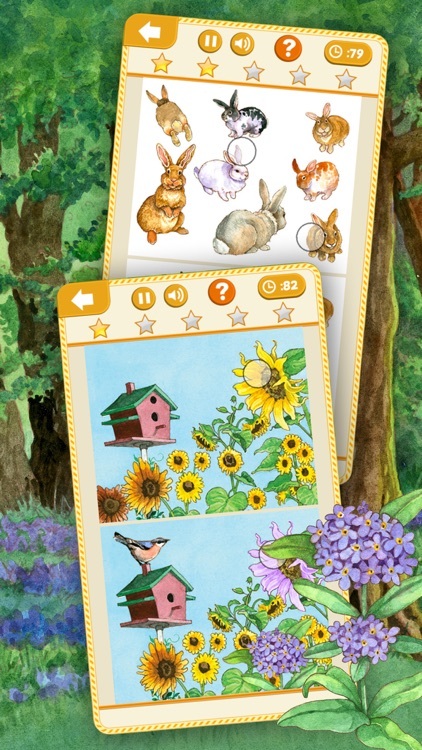 With beautiful graphics from children’s book illustrator Wendy Edelson, these 24 levels of springtime bunnies, flowers, ducks, chicks, birds, gardens and butterflies will delight boys and girls as they find all the differences in this classic spot-the-differences puzzle game. 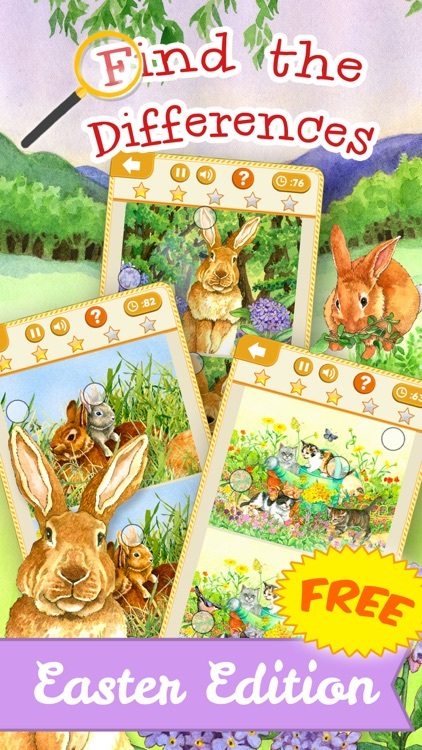 Your children will love these detailed and friendly illustrations of animals doing what they do best! 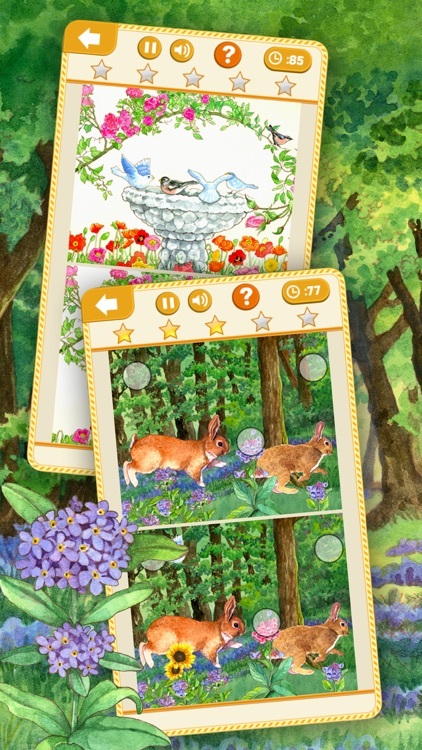 Baby bunnies snooze while mama bunnies watch over them, mama ducks take their chicks out for walks in the woods and birds sip from fountains in a spring garden. 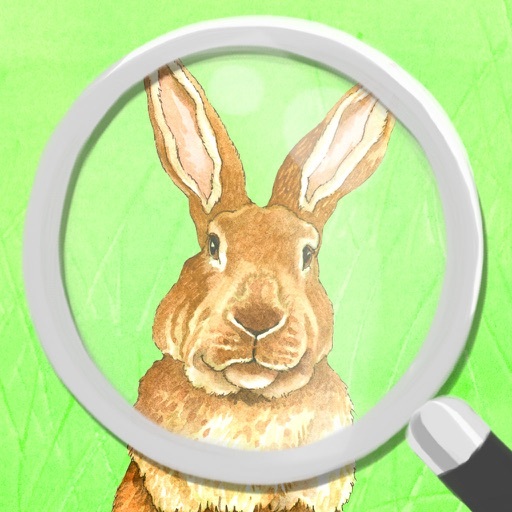 Toddlers, preschoolers and kids alike will have hours of fun quizzing their memory while hunting through pictures of frocklicking rabbits, kittens playing in the sunshine, raccons playing with ducks and chipmunks and bunnies eating fresh salad greens. 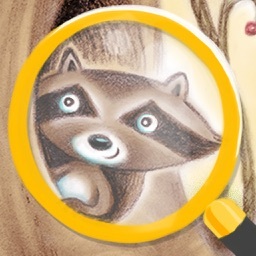 With so many cute images to try, kids will learn observation skills while enjoying these charming and hand-painted illustrations. 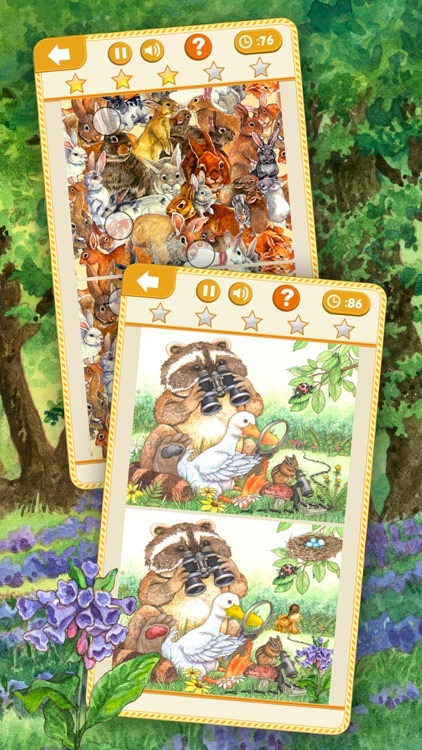 This educational puzzle game is great for the whole family- all images are appropriate for all ages. 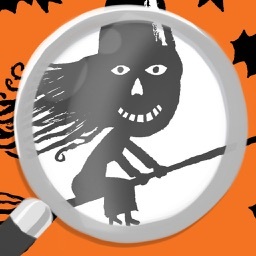 -This app includes 24 levels, 12 levels are free to try and the rest are available via an in-app purchase. 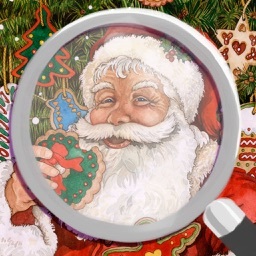 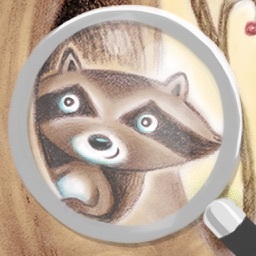 -Contains links to developer’s other apps and artist’s online portfolio from the Credits page.